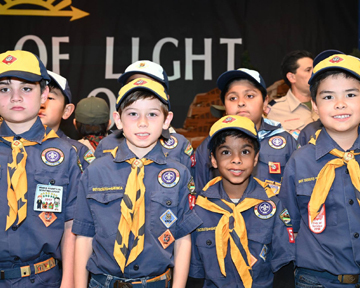 We are a fun and active Cub Scout Pack located in Anaheim Hills, California. 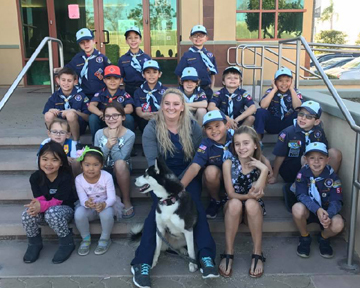 We serve elementary-aged Scouts in Kindergarten through Fifth Grade who live in Anaheim Hills, Yorba Linda, Orange, and surrounding areas. All are welcome. Our Pack meets monthly as a whole group with events that are designed to bring together Scouts of all ranks. Dens meet once or twice per month, depending on the schedule of each den. 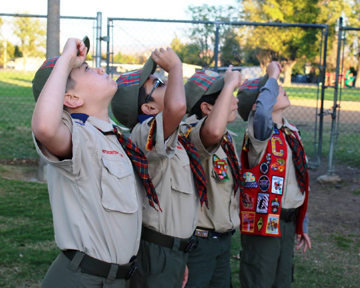 During Den meetings, the Scouts learn new skills, practice teamwork, experience fun outings and work on advancement. ○ Picnic – The Scouting year is kicked off in August with a picnic in the park. This is the first official opportunity for new Scouts to meet the other members of the Pack. ○ Raingutter Regatta – Scouts assemble a sail boat and race against other Scouts, with the Scouts providing their own wind power. Siblings included too! 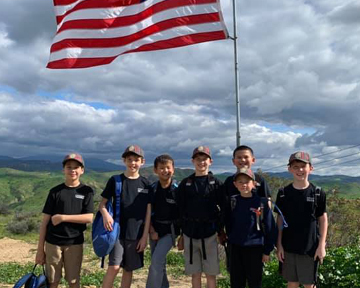 ○ Pack Hike – Plenty of Lions, Tigers, Wolves, and Bears will be on the hike, in addition to Webelos and Arrow of Lights. This is always a fun outdoor adventure for the whole family. ○ Campouts – Our Pack hosts two campouts per year – once in Fall and once in Spring. This is what Scouting is all about. We organize daytime activities at each campout, followed by an outdoor dinner, campfire show put on by the Scouts, and campfire desserts. ○ Blue and Gold Dinner – To celebrate the anniversary of Scouting, a special dinner is held with the entire Pack along with entertainment. ○ Pinewood Derby – Scouts create a wooden Derby car to race down a track and compete each other. It’s a fun event for all! 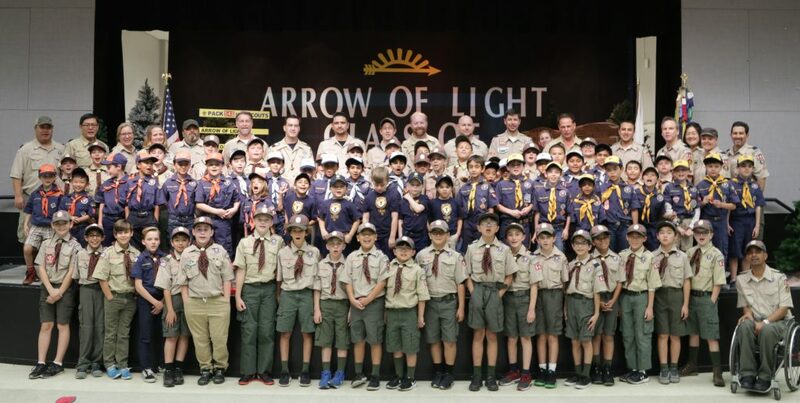 ○ Rank Advancement – The Scouting year wraps up with a crossover ceremony to formally recognize the Scouts’ achievements. 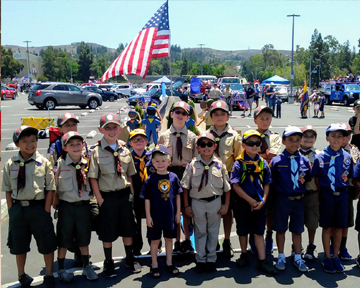 ○ Fourth of July Parade – Our Pack participates in the Anaheim Hills Independence Day Parade. The Scouts love walking the route and waving to all those who are watching. 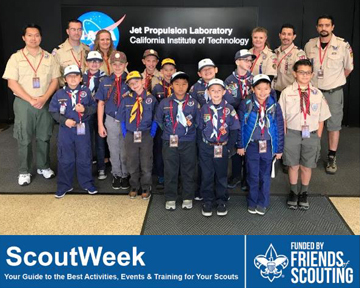 ○ Cub Scout Day Camp – Scouts spend five weekdays participating in outdoor activities including archery, bb guns, boating, sports, and more. We’d love for you to join us in Pack 546! We always have room for more. To learn more, contact us or visit our Facebook page. We hope to hear from you soon! 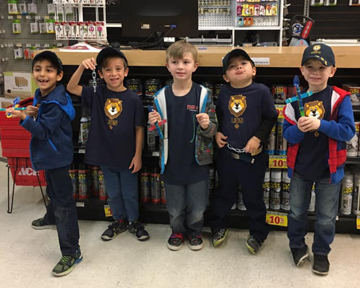 Copyright © 2019 Cub Scout Pack 546 – Anaheim Hills. All rights reserved.